LOVE these ideas! I got a kick out of those lanterns! 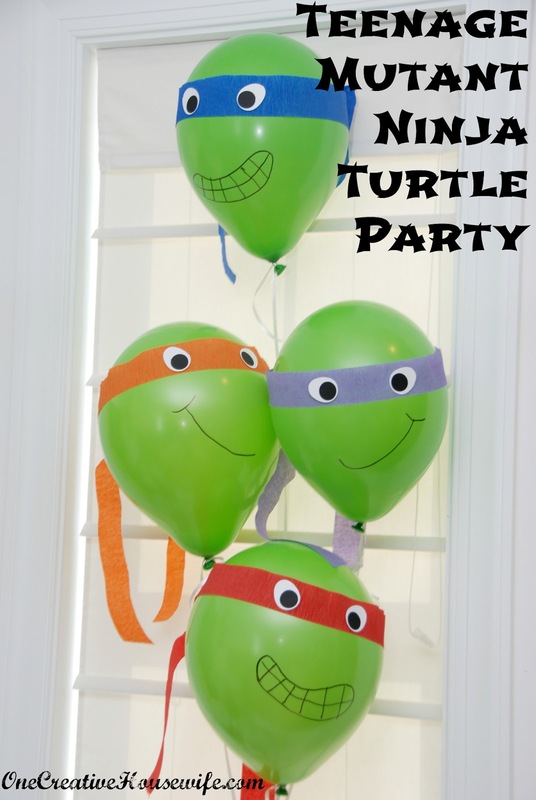 I had a facebook fan ask for TMNT party ideas and we came up with these, which were a hit. The turtles have really made a comeback! I remember watching them when I was young! Great work! You seriously made me laugh with the praying mantis costume. I would have had to talk my kid out of that one. Thanks for stopping by! I love the balloons!!! Its such an easy thing you can do to make which will have a big impact. If you want more help planing your child's party another great site is www.funtiqueparties.com. 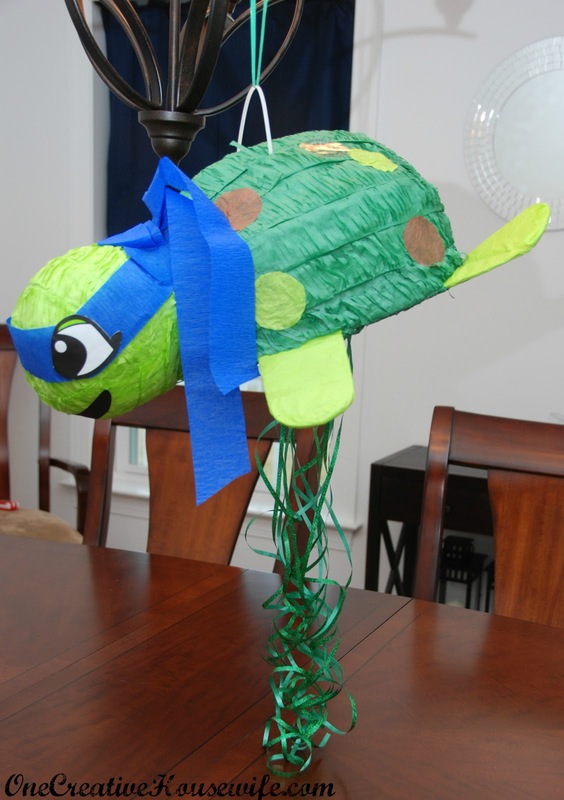 Just did a turtle party for my nephew. And since the Ninja Turtles are big fans of pizza, we collected a bunch of empty pizza boxes and stacked them as centerpieces on the tables. Also wrote saying like "Cowabunga dude" on the top pizza box. Greta Idea! Thank you for sharing!!! LOL..apparently our kids are going to be trend setters. Thanks for stopping by! 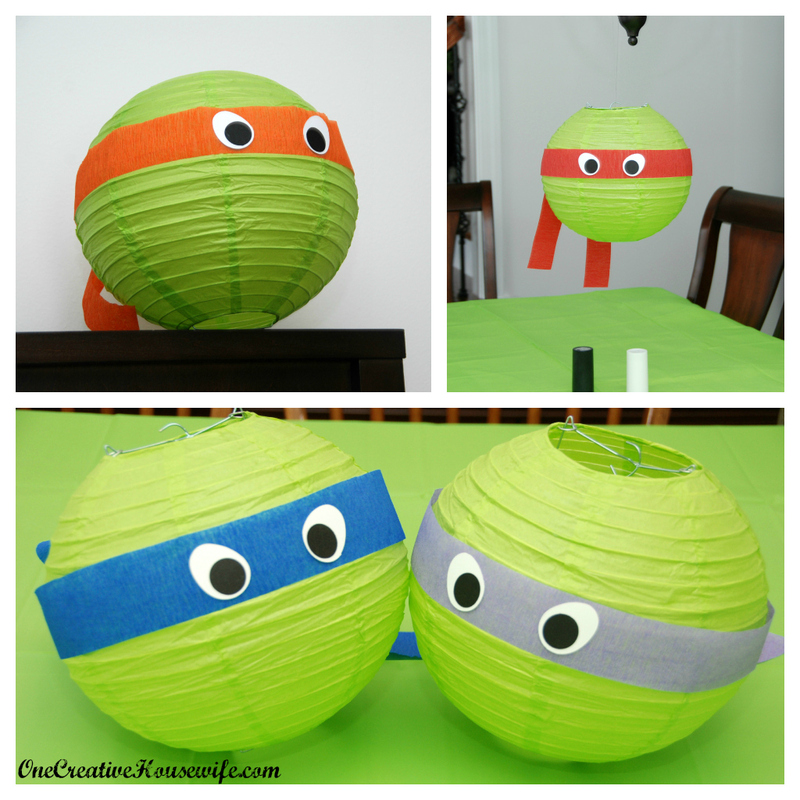 I have 6 days to pull together a TMNT party for my son and I'm definitely stealing some of your decorations : Thanks for the inspiration. So.... TMNT party supplies are EVERYWHERE now... just picked up a ton at Target. Hehe. Thank you for being so creative here. The store-bought party supplies have the turtles with menacing expressions and the weapons on them, which I think are inappropriate for a party with guests ages 3-6. Your stuff is great! I love your ideas! Thank you for the inspiration! I am sure, it seems you have a deep insight to the mind of children and you know that would simply love your amazing birthday ideas. Thanks so much for sharing ur ideas, my son decided to change the theme of his party 1 week b4 his 6th bday party. Kinda glad though since we did the WWE theme for his 5th. They dont have alot of decorations at party stores so ur ideas helped ALOT!